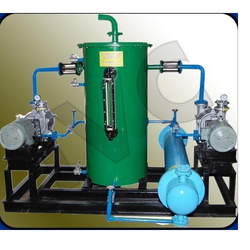 Pioneers in the industry, we offer close loop water re-circulation system of process industries from India. We are one of the most reputable clients involved in exporting and trading Close Loop Water Re-Circulation System of Process Industries. Our offered systems are widely used in process industries for their exceptional durability and high-end functionality. Owing to their procurement being done from trusted vendors, these systems are balanced in dynamic form and components are hardened steel. Moreover, we make the prompt supply of these products to customers at competitive market rates. Looking for Close Loop Water Re-Circulation System of Process Industries ?